Nice hotel. Great location near hell’s kitchen, broadway and Times Square . Good size rooms. Great location, Didn’t live up to its name... 1 out of 6 elevators operated so you were squished in every time with 10+ people due to only one working. Hotel staff weren’t helpful with queries, hotel was not at all expected, didn’t live up to its famous name was disappointed really & no R on our pillows as per pictures. Such a disappointment Staff were rude (althouhh the maids were lovely and helpful). Doors need to be fixed so they don't slam (all we heard day and night was slamming doors). We had a MOUSE in our room. Awful, awful, awful. Say 'Bye, Felicia' to everyday life and a big fat hello to New York. If you're dying to get away, lastminute.com.au can help you snag an absurdly good-looking rate on a hotel (Felicias not included). With a whopping 340 hotels within 2 kilometres of the centre, the biggest problem you'll face will be choosing the right one. Avoid FOMO and look into the vibe at The St. Regis New York and the Mandarin Oriental, New York. They're both smack-bang in the middle of New York. 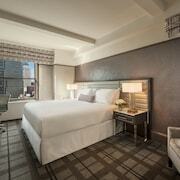 The Trump International Hotel & Tower New York and The Plaza Hotel also have some excellent facilities and amenities. 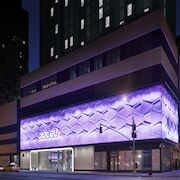 1 kilometre outside of the heart of town is Midtown East, which contains 88 hotel options. The Four Seasons Hotel New York and The Langham, New York, Fifth Avenue are some of the places available. 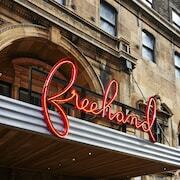 Broadway - Times Square, 0.3 kilometres from the city centre, is another popular area. You'll be spoiled here, with 127 listed options. Some of the best are The Peninsula New York and WestHouse New York. Heading to the Statue of Liberty is a no-brainer! Can you really say you went to New York if you don't tick it off? Want to stay within wandering distance? 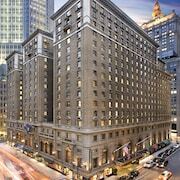 The Ritz-Carlton New York, Battery Park and NYC-JC Guest Suites are worth considering. The Lowell and The Ritz-Carlton New York, Central Park are near the Metropolitan Museum of Art. How's that for convenience? The United Nations Headquarters, one more amazing sight, is within a breezy stroll of The Towers at Lotte New York Palace and The Mark. The Towers of the Waldorf Astoria New York or The Chatwal, a Luxury Collection Hotel, New York City have comfy beds for those looking to stay nearer to St. Patrick's Cathedral. 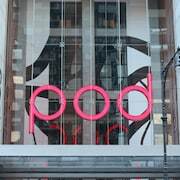 The Pierre, A Taj Hotel, New York and the Loews Regency New York Hotel are no-brainers if Carnegie Hall is more your vibe. Separate yourself from the hustle and bustle of the city by relaxing in Gantry Plaza State Park. It's all about location! 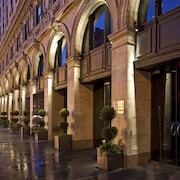 Stay at the Hotel Plaza Athenee and the Quin and you'll be quite close to it. You probably won't be inclined to get as up close and personal as Steve Irwin or Crocodile Dundee, but you'll still appreciate a range of birds and wildlife at Central Park Zoo. 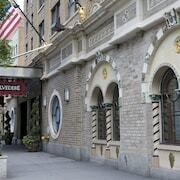 You'll be able to check it out whenever you like, especially if you're crashing at The Surrey and JW Marriott Essex House New York. On the last flight to New York? Feeling absolutely jaded? Then it's probably a sensible idea to find a place to stay close to the airport. 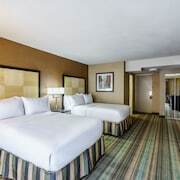 The New York LaGuardia Airport Marriott and the Courtyard New York LaGuardia Airport aren't too far from LaGuardia Airport, 10 kilometres from the centre of town.